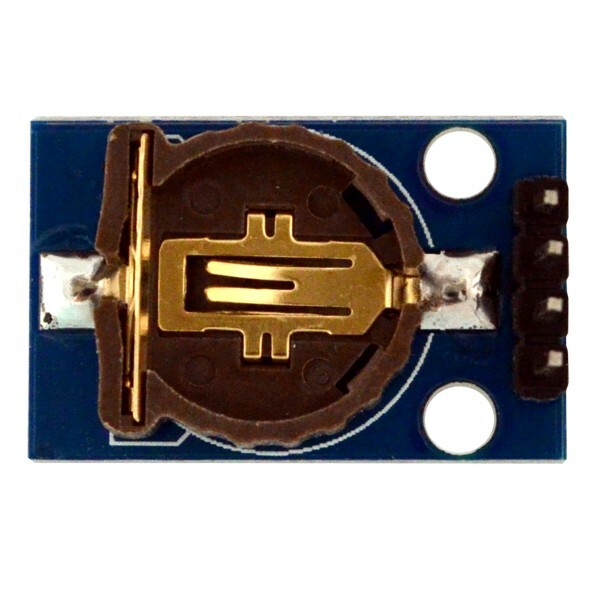 This high precision real time clock module features a DS3231 chip with a two wire I2C interface. The DS3231 is an extremely accurate RTC Real Time Clock chip that provides a full set of time keeping features. It keeps count of the time in seconds, minutes and hours and can provide the calendar month, day and year. It can even provide the day of week with automatic leap year corrections through 2100. An optional CR1220 coin battery can keep the clock to keep ticking even when your robot is powered off. 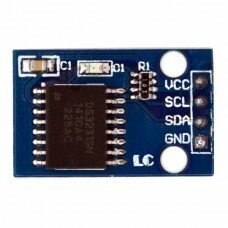 This tiny module supports 3.3V and 5V microcontrollers using a standard I2C interface. I2C is sometimes referred to as TWI or II2. A set of four standard male header pins simplify connections and breadboard friendly prototyping.